A fabulous decorating accent indoors or out, this cute Ladybug Stool will add functionality as well as style to any living space. 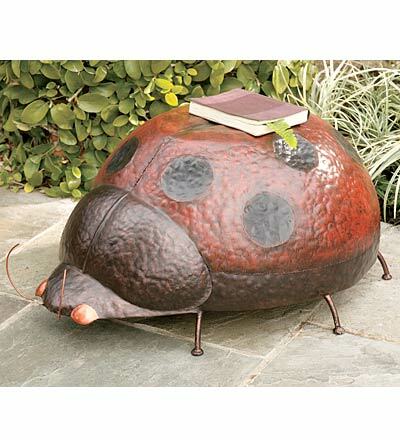 This big bug will provide a nice touch of whimsy to the patio or backyard. In the house, keep the lady near that extra high bookshelf for easy reading retrieval. Handcrafted of sturdy iron this insect put the fun in functional. The fact that ladybugs are considered lucky as well as beautiful is just a nice side-benefit. For more information or to order, click here.